Knitting hasn’t been exactly on top of our agendas these past few months, and consequently there have been few if any yarn-related entries on our blog. But, as you will have gathered from its title, this post finally sees us return to the subject of yarn and textile history. Don’t get your hopes up too high, though: The Yarn Market at Dunster is merely a historical building, not an active market, and for all I know yarn hasn’t been traded there for at least a century. It is a rather remarkable building, however, and directly linked to a centuries-long history of wool production and trade. But first things first, to give you a bit of context: [m] and I spent the first week of September in the absolutely fabulous Exmoor National Park in south-west England (and you certainly will be seeing more of it here in the course of the following weeks). While we spent most of the time doing long walks across the deserted moor, over rocky cliffs and through charming river valleys, we also got round to one of our other favourite pastimes, i.e. looking at old buildings. 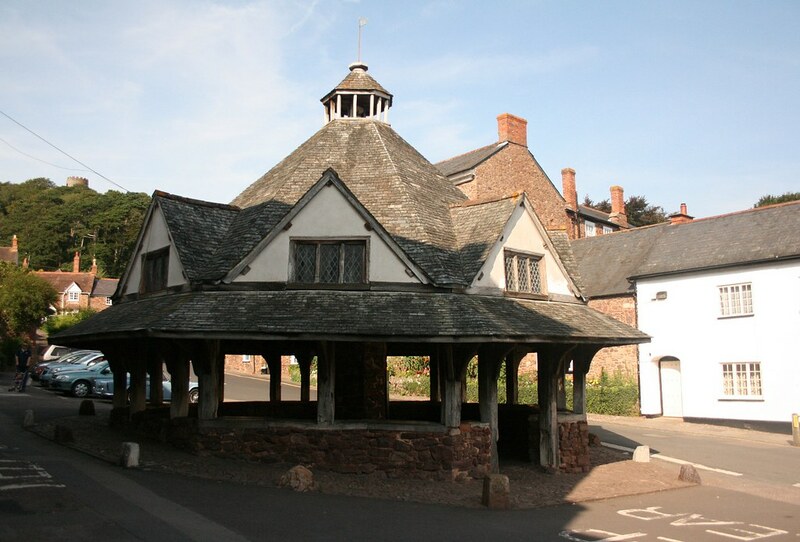 Located in western Somerset on the margin of Exmoor National Park, the village of Dunster was of course a must-see for us, what with it being heralded as a “Medieval Village” on the community’s website. As you’d expect, this label is slightly exaggerated, but a 14th century tithe barn and a 15th century church still bear witness to Dunster’s importance as a local trading centre in the Middle Ages. The village had its own market at least from the 13th century onwards, and the most important product traded there was locally produced wool. Indeed, as in many other Somerset towns, spinning and dying yarn was the main source of income for the people of Dunster for many centuries. Towards the end of the Middle Ages, however, local production shifted more and more from raw wool to finished cloth, resulting in a particularly strong kind of broadcloth which became known as Dunsters. As is explained on a local website I found, Dunsters “was a coarse narrow cloth, woven from long wool, and usually ribbed”. The same source also includes the information that “in 1607 an Act of Parliament laid down regulations which standardised” this particular type of cloth. 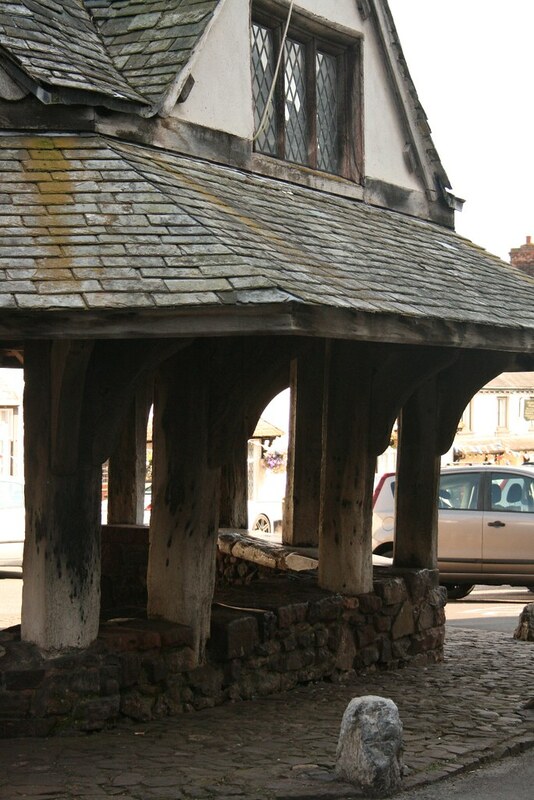 It is interesting to note that right around that same time the building still known as the Yarn Market was erected in Dunster’s market square. Its precise date seems to be uncertain, or at least the date given in tourist brochures and on the internet varies: Some say the 1590s, others give the year 1601, others opt for 1609. To make matters more complicated still, the building was damaged in 1647, in the course of the Civil War, and had to be repaired afterwards, but it’s not clear how bad the damages and how substantial the repairs were. Be that as it may, the whole thing was apparently designed to shelter both customers and vendors – and perhaps most importantly the goods on sale – from the (in)famous English rain. 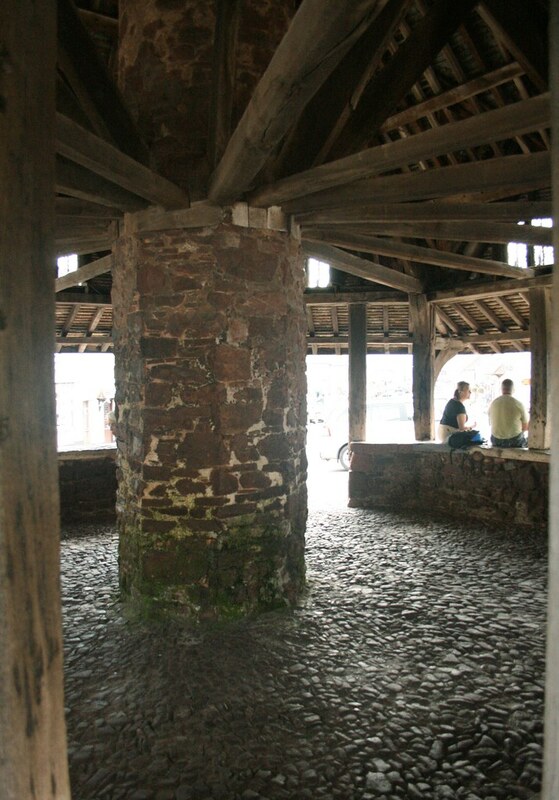 This was achieved by creating a unique octagonal structure with a massive stone pier at its centre supporting a heavy timber framework. 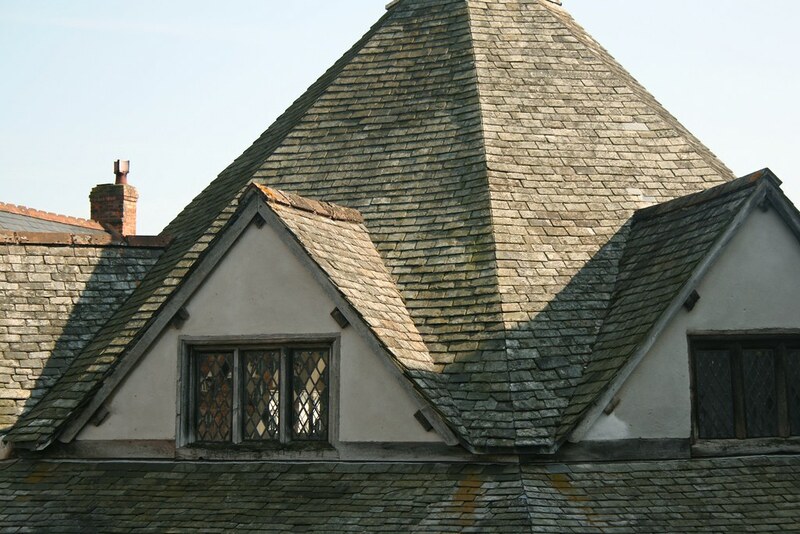 This is covered by a slate roof topped by a small bell turret, the sound of the bell usually signalling the opening of the market. Over each side of the building gables containing windows ensure that the interior receives a sufficient amount of natural light. All in all this is a highly ingenious structure which serves its purpose well. Or rather served its purpose well. As elsewhere, the increasing mechanisation of the textile industry in the course of the 19th century brought an end to the local manufacture of wool and cloth in Dunster and left the Yarn Market as a reminder of times gone by – but also as an important local tourist attraction and as a welcome place for visitors to sit down, rest and maybe have a sandwich. Since tourism these days seems to be (one of) Dunster’s main source(s) of income, in a way then you could say that in spite of all the changes, the Yarn Market still plays a key part in securing the village’s prosperity.